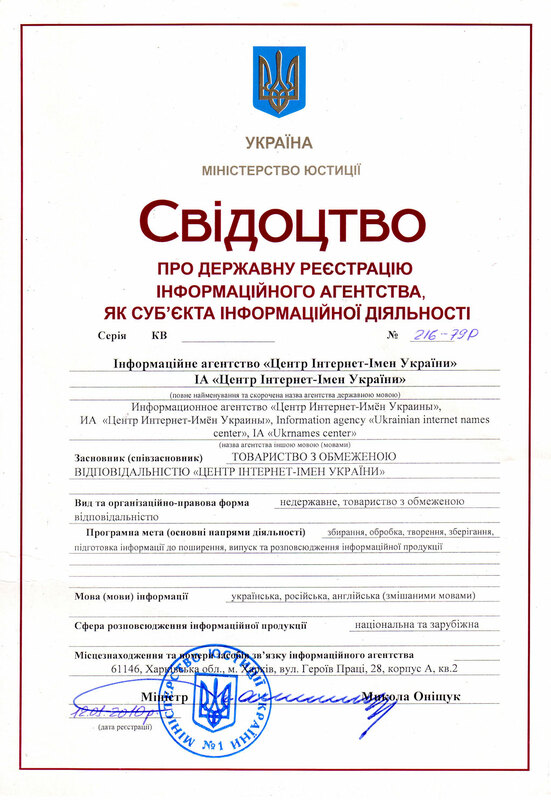 All clients, registering domain names in Center of Ukrainian Internet Names, are able to use free DNS service. This service includes support of the zone on primary (master) and secondary (slave) DNS-servers and an opportunity to make records like NS, MX, A, CNAME, TXT in the zone on your own. To use DNS service, enter the NS-servers settings after the payment and in your Client area point to use NS-server registrar. Than the DNS Zone Editor option will be activated.